In order to ensure that the data we return to customers is highly accurate, we use a stringent algorithm to make genotype calls. 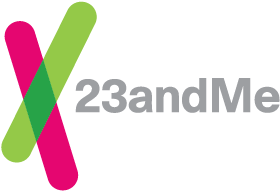 Occasionally, a user's data may not allow us to confidently determine his or her genotype at a particular marker. When the algorithm cannot make a confident genotype call, it gives a "not determined" result instead. It is possible that future review will allow us to call the genotype, but until that time, the data does not appear. In downloaded data, the entry for any uncalled SNPs displays '--' instead of a two-letter genotype.